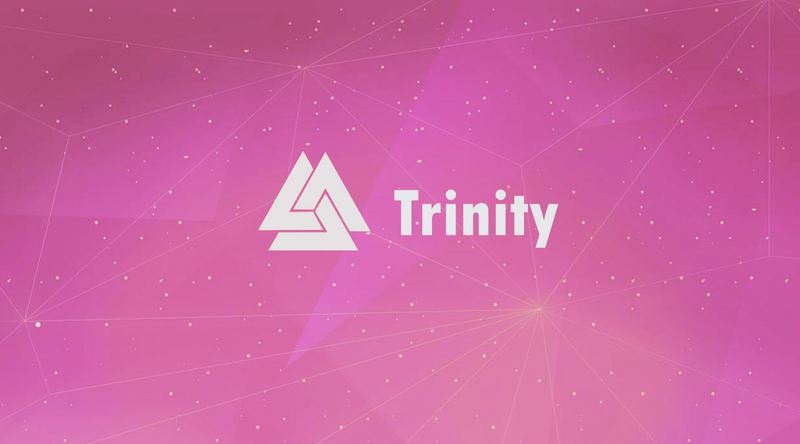 Trinity is gearing up for the development of trinity-neo-gui, which adds all functions of Trinity state channel with inherited neo-gui features. Not only will it make micropayments more light and convenient, the integration also promotes the mass adoption of crypto payment. 1. 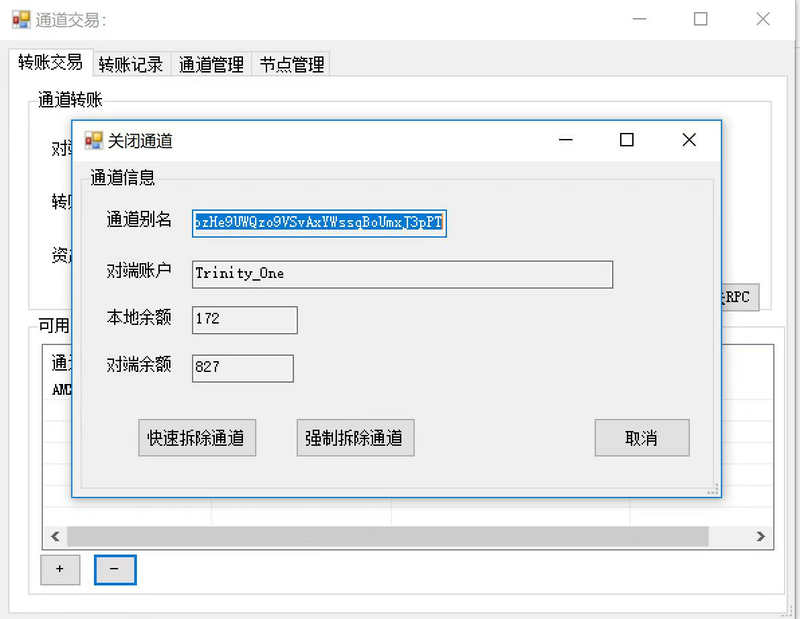 Initializing the development of trinity-neo-gui. We use API to access NEO-GUI and make the process smooth and dynamical. Operational interface with basic functions are shown in the following graphs. 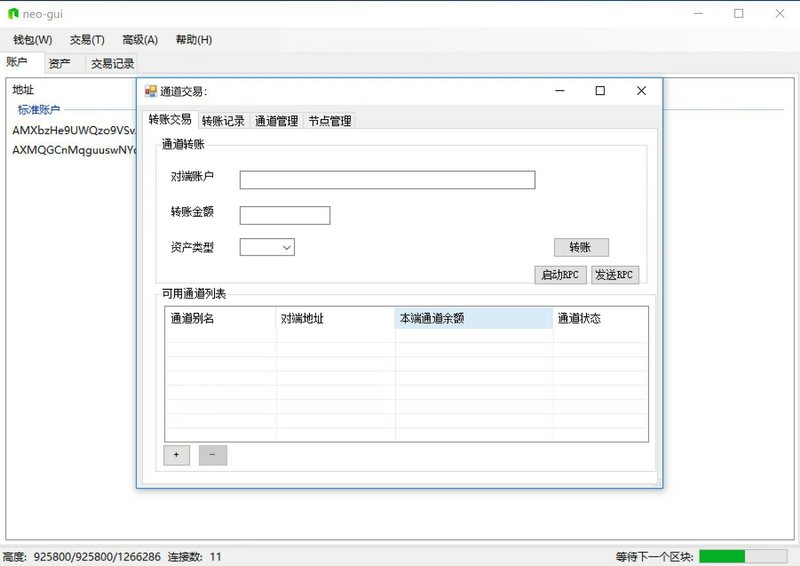 If you are familiar with neo-gui full node or you are currently a neo-gui full node user, please download our code from github and see the interface. First download and configure Parallels Desktop virtual machine and then proceed with the other steps as the instruction above for Windows. 2. Adapting to the database. Neo-gui stores data in form of key-value, while Trinity saves data via mongo db. Due to the differences, we need to make adaption on data storage. Trinity will synchronize with Neo on the same levelDB to store information on state channels. Nevertheless, a custom api on the levelDB will also be encapsulated according to the storage and query features of state channel. 3. Building PRC communication mechanism. 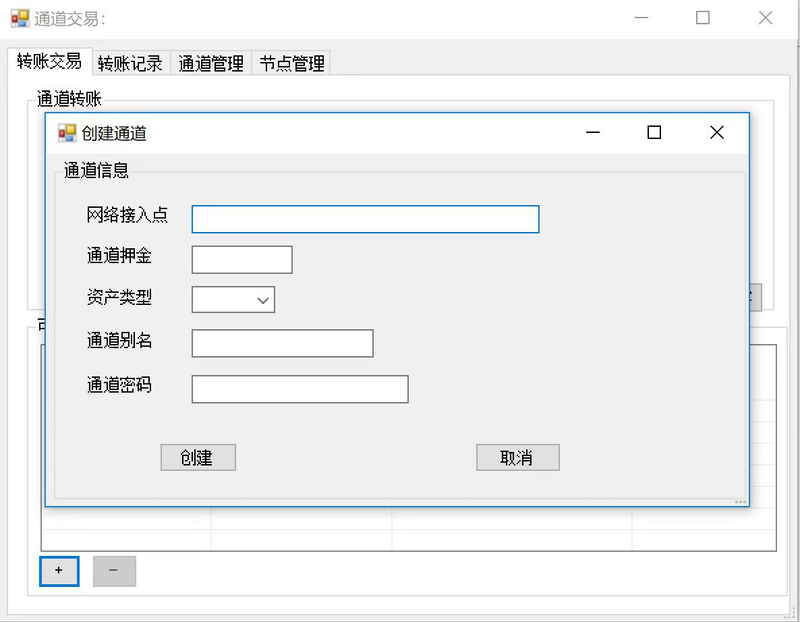 With RPC services based on C#, information inter-communication between wallet and gateway are finished. This is the foundation for the functions of channel establishing, closing, management and transactions. Thank you for the Communities continued support and we welcome you to join us in Trinity github.